We came from Ft Polk, from Ft Dix, from Ft Sill, from prior service and even from earlier OCS classes. 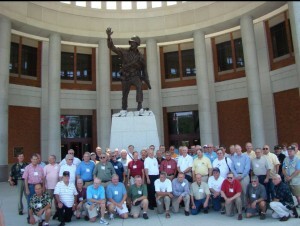 We were there at Ft Benning, waiting to become Infantry officers, but the Infantry School was not ready for us. There were no barracks, no classes, no instructors, only casual company with KP and guard duty. That was no way to treat these eager young men; so they offered us jump school. And that is how we became OC 20-69, Airborne OCS!